Meals ready to eat or MREs as they’re often referred to, are a self-contained meal that is at the ready. It’s packaged in a mylar pouch that is designed to provide a person with all of the nutritional requirements for a healthy meal. Many have a flameless ration heater that when activated will heat the meal to a good serving temperature thus offering a hot and healthy meal at the ready in just minutes. 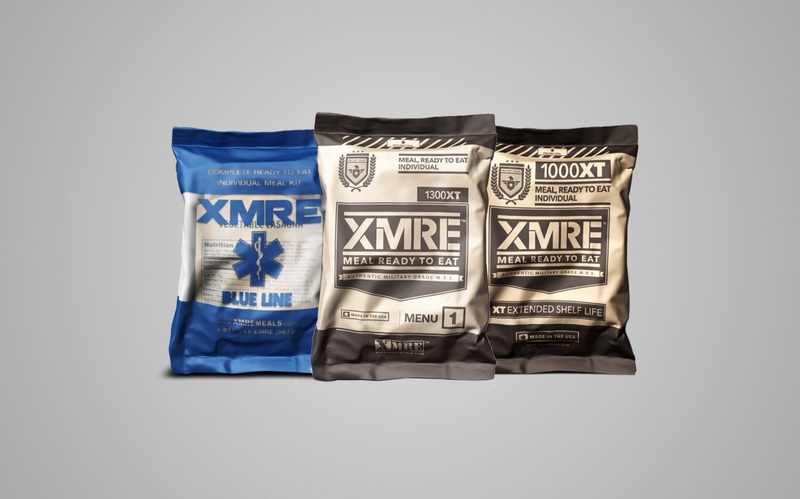 These are available by the case or you can purchase them individually in many instances directly from manufacturers such as XMRE. Meals ready to eat are fully cooked and yet lightweight which make them an ideal meal to have on hand for a variety of situations that may happen. Perfect for food storage, camping, hiking, busy parents who have children in extra-curricular activities, emergency food supplies and more. Prior to 1973 soldiers were given canned foods such as beef, peas, rice and other grains for their rations. These foods were heavy, bulky and difficult to carry when out on the battlefield. Gradually, these bulky foods were replaced with salted and dried foods which continued to evolve until the year 1973. In 1973 the Department of Defense developed combat rations or Meals Ready to Eat. These were for troops who were deployed and out in the field and in need of a healthy and hot meal. Statistics show that soldiers who have a healthy meal are far more likely to make rational decisions. These meals were given out to the troops and kept in their backpacks until they were needed. At the time they weren’t very flavorful and there were many attempts to “doctor” them up. 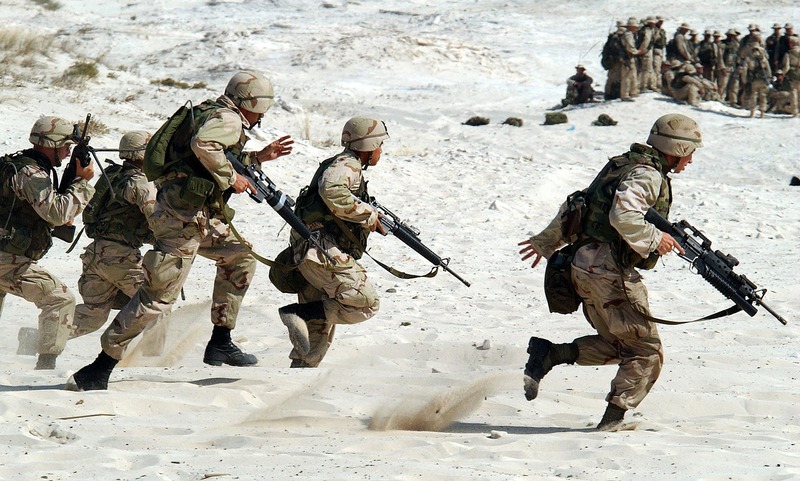 Several studies were done and it was discovered that the troops were only getting about 60 percent of the required calories for their nutritional needs and requirements. Adjustments were made and by 1983 field tests were being conducted to improve the meals so that soldiers would be healthier and have the required nutrition that they needed to perform their duties better. By the time Operation Desert Storm meals ready to eat had added in freeze-dried coffee, hot sauce to all 12 menu items and wet wipes for soldiers to wipe their hands with. These were well received and troops bean to eat these while they were deployed with fewer complaints. They offered up more flavor and more varieties and the crisis of troops not receiving them well was averted. Troops began to eat their rations and because they were eating them they were healthier with fewer illnesses. Although they were originally designed to be used for only 10 days at a time, many soldiers had to rely on these as their main meal for longer periods of time. This was another great reason to make them more flavorful and offer in such condiments such as hot sauce and other condiments to improve the flavors. Over the course of time civilians discovered these. Perhaps through returning soldiers or simply their positions in the nation they wanted to be able to have meals ready to eat on hand for emergency situations such as cataclysmic world events, earthquakes, hurricanes, food stores and the like. Unfortunately, it was illegal for the military to sell meals ready to eat to the regular civilian population and so manufacturers scrambled to design meals ready to eat for the general civilian population. A new need was found and with the dawn of Y2K (the year 2000), the companies that were manufacturing the meals ready to eat for the military began to produce meals ready to eat for regular citizens. Although you can find military rations of meals ready to eat via the internet, military surplus stores and auction sites, they’re still technically not available to the general public and if this is how you’re purchasing your meals ready to eat you’ll want to double check the manufacturers date and ensure that they’re within five years of the manufacturers date to ensure the freshest meals possible. Today, there are many companies that manufacturer the meals ready to eat and anyone who wants to purchase meals ready to eat can do so. What Can I Expect In A Meal Ready To Eat? The full meals ready to eat have a main course or entree that consists of spaghetti, beef stew or some similar main course. They will also have a side dish of rice, or corn, mashed potatoes or some similar item. Most will have some form of bread or crackers. A spread for the bread such as butter, cheese, peanut butter or jelly. There will be a dessert of cookies, brownies, pound cake or some similar item. There may be a piece of candy such as M & Ms or a similar type of candy and a beverage that may be a drink mix, coffee or tea. Not all meals ready to eat will have a flameless ration heater in them so be mindful of this when ordering to ensure that you’ll have a heat source for your meal. Different companies will vary on what they include for the meals ready to eat and they will have a variety of options. Some will include utensils and others won’t. So it’s always wise to read over the list of what is included before purchasing the meals ready to eat. Meals ready to eat were designed to give soldiers out in the field the ability to have a hot and nutritious meal at the ready when they needed to eat. For this reason, the meals ready to eat had all of the required nutrients for their nutritional needs. Meals ready to eat come in a variety of caloric values. Snack pouches can be had for as few as 200 calories and the entrees or some of the full meal options can have as many as 3500 calories depending on the particular flavors chosen. Most people average 1250 calories in their meals ready to eat. However, it’s wise to have a variety at the ready as not all situations are going to require that many calories. Snack meals offer a nutritious snack that may be as simple as a beverage (juice, a juice powder that is mixed with water, freeze-dried coffee, tea, or a sports type drink), and a snack. The snack itself may be a trail mix, dried fruits, pretzels, nuts, or some other simple but the healthy nutritional snack. The entree will be something along the lines of stroganoff, spaghetti, or some such meal that will be healthy and nutritious and provide the person with plenty of nutritional value. Full meals will come with an entree that includes typical side dishes, as well as a beverage. Beverages include coffee, tea, juice powder mixes that are simply poured into water, or a sports drink. They may also contain a dessert such as a cookie, brownie or some other such delicious dessert. The full meal options will also have the proper utensils for eating the meal as well as condiments such as salt, pepper, hot sauce, ketchup, mustard and the like. There are different ways to heat meals ready to eat. When it comes to heating up the meals ready to eat there are many great ways to heat them up. Some will come with a flameless ration heater that when activated will heat the meal up to a nice serving temperature. Since the meals are already prepared they can also be eaten cold if desired, although a hot meal is much preferred over a cold version. Other ways to heat your meals include placing the mylar entree pouch in a pan of boiling water for a few minutes, laying the package in the sun for awhile (add water to the entree first if required), holding the package in the armpit for awhile to heat it up, car radiator, coals of a campfire or any other method of heating. Most people choose the flameless ration heater for their main method of heating as it’s easy to implement. Simply add in the required amount of water and activate the flameless ration heater and seal it back up for a few minutes to allow it time to heat up. Within 10 minutes a hot meal is at the ready. What Is The Lifespan Of Meals Ready To Eat? Meals ready to eat have a lifespan of a 5-year shelf life. That’s not to say that they won’t last longer, however, if you want them at their optimum you’ll want to make sure that you use them within the first 5 years of their manufacturer date. Many meals ready to eat are still edible 25 years after the manufacture date. However, for the freshest quality, you’ll want to make sure that you use them within the first 5 years of the manufacture date. This is also a good reason to learn how to read the manufacturer date and ensure that your purchases are as fresh as possible. The longer these meals sit on the shelf, the more likely they are to lose taste and flavor and become bland and less flavorful. For this reason, purchasers are encouraged to only purchase the meals ready to eat prior to the 5-year manufacturer date. Meals ready to eat can be purchased in a variety of locations. Here are some to get you started in your quest for meals ready to eat. Manufacturers websites, such as XMRE mentioned above, offer great deals and often have a sale each month on different products that can be purchased at discounts. These sales will vary from one month to the other and it’s a great idea to get on their mailing list and watch for sales. The newsletter will keep you updated on what is on sale each month and you can choose from these sales and take advantage of the sales. Since each month will have different sales it’s easy to stock up and save. Military surplus stores often have meals ready to eat. Again, learn how to read the manufacturers date before you buy from these. You don’t want products that are older than 5 years so you’ll need to learn how to read this. If you have a smartphone take it with you and look it up in the store to ensure that you’re getting the freshest product possible. Statistics show that the military surplus stores often charge more than other locations that offer meals ready to eat. Camping supply stores offer many great options for meals ready to eat. They usually have their own section in the store and will give you some great deals. You’ll have a wide array of varieties to choose from and sometimes if you buy so many you can get so many of them for free. They also offer case sales and you may have the option to order variety cases so that you’re not stuck with an entire case of one particular entre. Hiking stores also offer meals ready to eat. Meals ready to eat are great for hiking. Since they are lightweight they’re easy to pack into a backpack and carry along with you. You can carry as many as you like and it’s not going to weigh your backpack down. It’s ideal and offers a hot and healthy meal at the ready at the end of a long hike. Consider these if you’re into hiking and remember to plan ahead, it’s always wise to have a few extras on hand in case you wind up out on your hike longer than you had anticipated. Big box stores offer a few different options. Meals ready to eat can usually be found in two sections of this type of store. You can find them in the bulk foods section with other bulk foods, or you can find them in the camping section. Be sure to check both sections prior to purchase to ensure that you’re getting the best deal. Watch for advertised sales and specials when you’re shopping in these types of stores. They don’t often have the meals ready to eat on sale, but you may sometimes be able to combine them with other discounts such as spend so much money in the store and you will get a certain amount off your entire bill for that particular trip. Gun shows often have a selection of meals ready to eat as well. The reason for this is that there are many “preppers” that attend gun shows and the market is ripe for such sales. Most of the people who attend gun shows are preparing for a doomsday scenario and thus are very responsive to such a purchase. Often there will be several different booths with several different manufacturers who have product samples and specials on the products. Be sure to wander around and check out the various booths and see what they have to offer. Sometimes they will have a deal where you can get $10 or $20 off if you order here or if you order a case or two at the time of the gun show. Food co-op groups that believe in preparing for the future, as well as church groups that advocate a one year to 7-year food supply often have a group that works together to help, build up food supplies. You can often find group discounts when you work together with such groups and stockpile some great meals ready to eat as well. Working together with a group will help you to focus on finding some great discounts and deals. Online auction sites offer many great deals, but when using an auction site you’ll want to make sure that you are checking the manufacturer date. To learn how to read the manufacturer date you’ll want to go to the website for the particular company and follow the instructions for how to read the manufacturer date for that particular company. Each company writes the date slightly differently so be sure to check this before bidding on auction sites to ensure that you’re getting the freshest products possible. It’s also important to note that the United States government has requested that sellers not sell military meals ready to eat on the auction sites. Many people wonder why the United States government refuses to sell military meals ready to eat to the general public. The reason really makes sense when they word it like this: “Meals ready to eat are purchased with the taxpayer’s dollars and thus shouldn’t be available to the general public. This makes them a government-owned product”. It’s also important to note that any meals ready to eat that are found on online auction sites and are considered to be government “surplus” may also contain matches which mean that they will require specific shipping procedures in order to be compliant with regulations of shipping hazardous materials. An additional concern is that the government dates the meals ready to eat differently so it’s more challenging to read the date of the manufacturer when purchasing from online auction sites that are originally government surplus items. Who Should Buy Meals Ready To Eat? Meals ready to eat are ideal for campers, hikers, doomsday preppers, those who wish to have a food supply for any period of time, parents who have kids in extra-curricular activities and more. Parents will appreciate having them on hand when they’re in a hurry for a hot and healthy meal and it’s far more nutritious than a fast food restaurant when trying to feed the family on the run. Campers and hikers will appreciate that they’re lightweight and easy to pack as well as easy to prepare when out camping or hiking. All that is required is some water and to activate the flameless ration heater. Since these are pre-cooked and lightweight, they are ideal for even the smallest hikers or campers to carry several in their backpack without adding too much weight. Kids as young as 2 can carry several in their backpack and thus help to contribute to the group. These are ideal for those who believe in a one year to a 7-year food supply and will go far in helping them to prepare and build up their food supplies for emergencies. They’re also ideal to have as an emergency food supply in the car, office, outbuildings and other locations where you may spend time in an emergency. By preparing in advance you may find that you have what you need when you need to have extra food on hand. Once you understand what meals ready to eat are all about and where the best deals are you can begin to plan ahead and get some food supplies in for you and your family. Whether you’re just buying a case to have on hand in case the power goes out, buying some to replace fast food when you’re having a busy day, or storing a food supply for one to 7 years, you’re sure to appreciate the variety and the simplicity of meals ready to eat. Try a few different brands out before you make your final choice and be sure to sign up for newsletters and focus on finding ways to take advantage of such discounts and deals that are offered via the manufactures websites and other places where you can find meals ready to eat for sale. Remember it’s not a deal if they’re beyond the five year shelf life and you want to make sure that you’re buying varieties that your family will appreciate and enjoy. Once you find a few varieties that you and your family enjoy then you can begin to watch for the deals and stock up on your meals ready to eat. Even the youngest members can learn how to prepare their own meals and feel independent. Just make sure to supervise them when they open their package so that they don’t burn themselves with the steam.